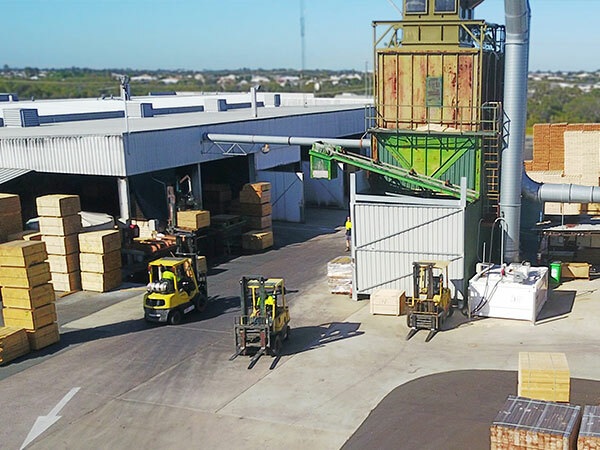 Operating for over 25 years, our operations and manufacturing facilities include a company-owned sawmill, ensuring we have a consistent and reliable timber supply to fill any orders for wood pallets, wood crates, boxes, dunnage and specialty products. Our modern machinery, professional staff, and reliable transport services enable us to provide products and services to the highest standard for your business. Express service – quotations, ordering and delivery. Large quantities of standard pallets readily available in stock. Fast turnaround time for made-to-order products, with CNC automated production facilities. On-site heat treatment facility, providing certified export compliance where required. The utmost care is taken in the design and production of pallets and crates, ensuring our products and service meet or exceed your requirements and expectations. Our company’s on-site sawmill puts us in an enviable position in the industry – we control quality and availability, from source through to finished product. This guaranteed supply allows us to carry high timber stocks, ensuring a quick turnaround for all orders. With over 25 years’ experience, you can be confident we have the know-how to produce exactly what you need at the very best possible quality and price.